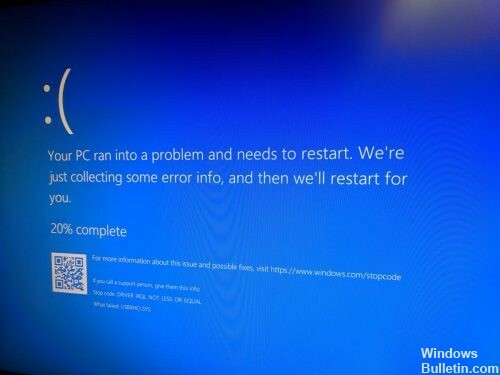 Blue Screen of Death Error USBXHCI.SYS is something to do with the USB 3.0 or USB 3.1 ports on your motherboard. Or at least the driver that controls the Usb 3.0 specification port on the motherboard. If the motherboard has the option in the bios for super speed or fast charge or standby charge of USB devices, try disabling the options in the bios as a temporary test. A blue screen error (also called a stop error) can occur if your PC is unexpectedly shut down or restarted due to a problem. If this type of error occurs, you cannot see things like the Start menu or the taskbar on the screen when your PC is turned on. Instead, you may see a blue screen telling you that your PC has encountered a problem and needs to be restarted. SYS errors, such as those associated with USBXHCI.SYS, are most common when you start your computer, start the program, or try to use a particular function of your program (such as printing). Restart your PC and press Shift + F8 when the Win logo appears. On the next screen, select Repair this PC and click Troubleshooting. Then choose Advanced Options, then Startup Settings. Finally, activate Safe Mode and log into your account. Be sure to reboot with the network and try the steps specified in method 1 to perform the update. Before editing the registry, export the keys to the registry you want to edit, or save the entire registry. 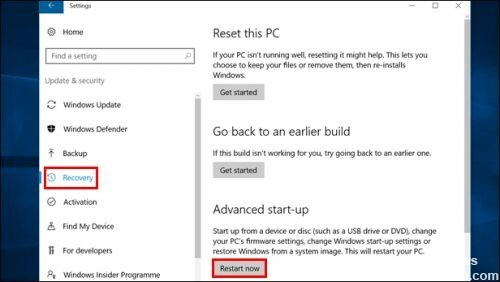 If a problem occurs, you can then follow the steps in the “Restore the Registry” section to reset the registry to its previous state. To back up the entire registry, use the Backup utility to back up the system state. The system status contains the registry, the COM+ class registration database and your boot files. 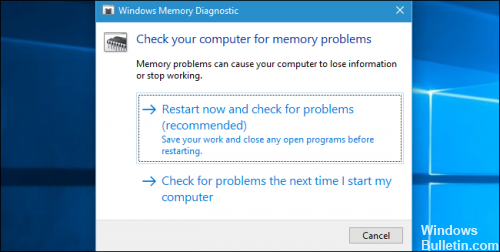 To start the Windows Memory Diagnostics tool, open the Start menu, enter “Windows Memory Diagnostics” and press Enter. You can also press Windows + R, enter “mdsched.exe” in the Run dialog box that appears and press Enter. You must restart your computer to perform the test. You cannot use your computer while the test is running. To accept, click “Restart now and check for problems (recommended)”. 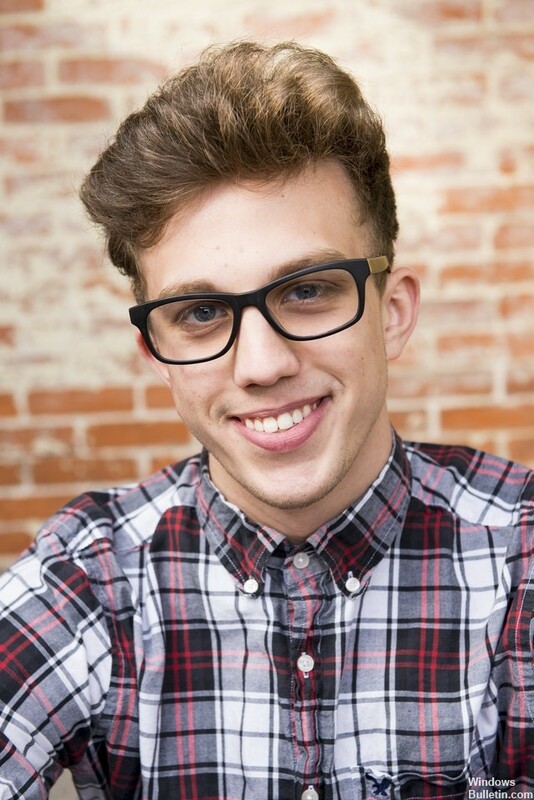 Be sure to save your work first. Your computer restarts immediately. 1) Press and hold Windows + R to open the Run field. 2) Type devmgmt.msc in the field and press Enter to open the Device Manager. 3) Find and expand the Universal Serial Bus Controller dialog box. 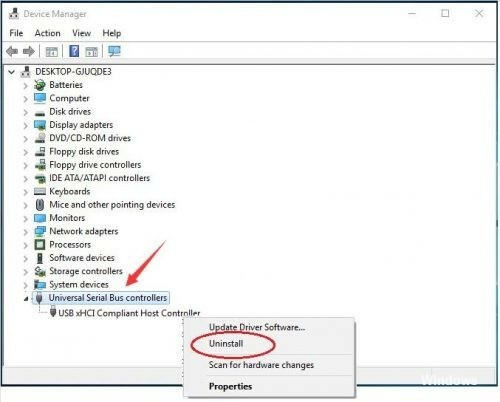 Then right-click the xHCI compatible USB host controller and select Uninstall. 4) Click OK when prompted to confirm uninstallation.